You can find the latest limited time deals from Kiwi Crate here! If these deals are all expired: You can always get 40% off + free shipping on your first box of any KiwiCo line. No coupon needed—just sign up here! KiwiCo Sale – Up to 30% Off Shop Purchases! Last Call for KiwiCo Delivery by 12/24 + First Box For Only $7.95! Extended! 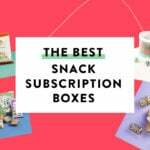 KiwiCo Holiday Sale – Free Boxes With Pre-Paid Subscription Or 60% Off Your First Box! KiwiCo Holiday Sale – Free Crate With Pre-Paid Subscription Or 60% Off Your First Box! KiwiCo Holiday Sale – Free Boxes With Pre-Paid Subscription Or 60% Off Your First Box! Last Day! KiwiCo Flash Sale – 60% Off Your First Box! KiwiCo Flash Sale – 60% Off Your First Box! Extended! Last Day! KiwiCo Cyber Monday Deal – 60% Off Your First Box! "Super excited! I’m going to be doing some traveling this summer and this is perfect!"